Sweater weather lovers, your wardrobe is about to get a new cozy addition! 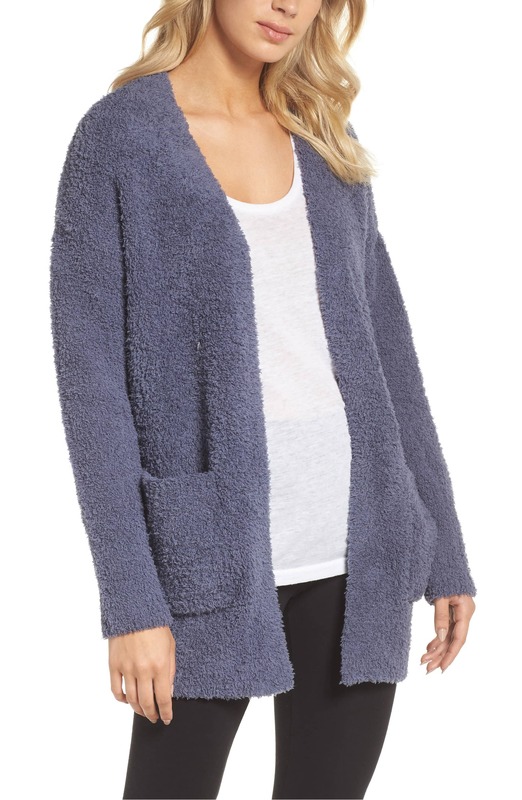 Anyone who loves wearing clothes that are comfortable as well as fashionable will adore the snuggly cardigan the Shop With Us team is currently eyeing at Nordstrom! 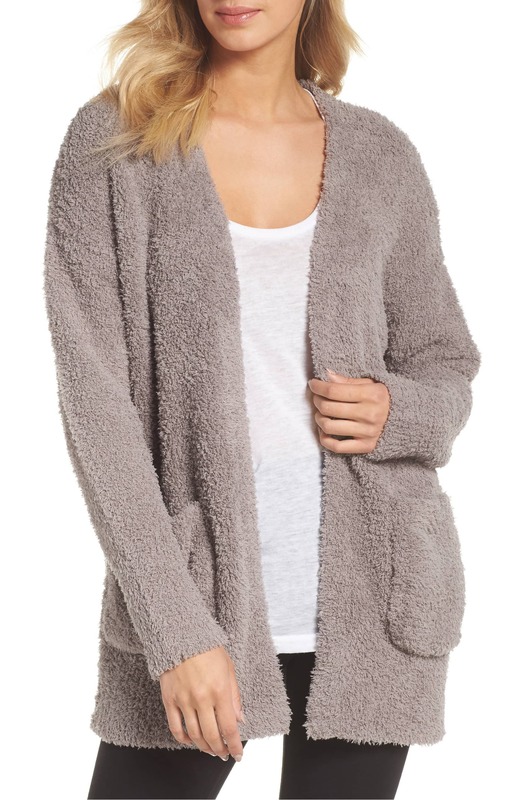 The Barefoot Dreams CozyChic Cardigan is like a wearable hug! Its oversized design makes it a great choice for layering on the chilliest days of fall and well into winter. The fuzzy outerwear piece also has practical pockets for storing your phone or simply keeping your hands warm. The best part about wearing this teddy bear of a cardigan is that while the fabric is thick enough to keep you toasty, it also has a lightweight feel. Get this design in five different colors, including sand (above), white, black, navy and sea blue (below). The roomy cardigan is available in two size options: small/medium and large/extra-large. It runs big, so Nordstrom and reviewers recommend you order one size down. Shoppers who purchased and wore the piece raved about its soft fabric! Many revealed that they wore it while lounging around the house, but also loved slipping into it to head out. “This is like the softest blanket wrapped around you,” one reviewer shared. See it: Get the Barefoot Dreams CozyChic Cardigan for $134 while it’s available in every color!